At present the recent news about the India’s biggest Auto Maker Maruti is that, the new MPV by the company Maruti R3 is going to be named as Maruti Ertiga. Rumors also say that the company is going to showcase this new Maruti Ertiga MPV in the 2012 Auto Expo in Delhi, but the car is expected to be launched a year later after this showcase. Maruti Ertiga Price is expected to be around 7-9 lakh. This MPV is a 6-7 seater car which is totally based on the Maruti Ritz platform. This would be the first high volume diesel MPV by the company in the Indian market. This car is expected to come in the market with both petrol and diesel variants. The petrol variant will power a 1.4 L K-series engine that would be capable of delivering a maximum power of 87 bhp and a maximum torque of 130 Nm whereas the diesel engine would power a 1.3 L multijet engine capable of generating a 90 bhp of power and 200 Nm of torque. This car before its launch has created so much buzzes in the car market and with the Maruti brand on it the car would surely make its way to plenty of Indian homes. The car could also be the best in the passenger segment and would attract a lot of taxi dealers. Nothing more is yet revealed by the company about Maruti Ertiga MPV. The car will give a tough competition to the other MPV’s in the same price band like Toyota Innova which has a price of Rs 8.35-12.61 lakh (ex-showroom in Delhi), Mahindra Xylo and the Tata Motors Sumo Grand which is cheap (starting at Rs. 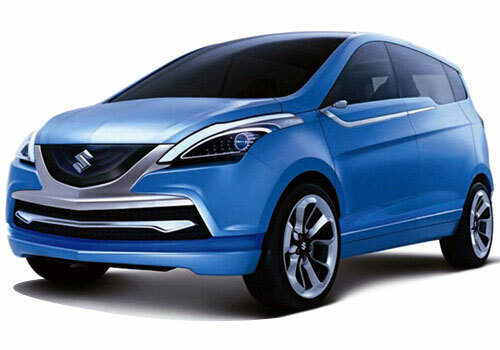 5.80 lakh) and has established itself well in the passenger car segment in the Indian car market.